illume OS is a free and open source Debian based Linux distribution that is especially designed to run on note books, laptops and computers for students. It is very efficient, lightweight, stable and flexible Linux operating system that supports both 32 and 64 bit hardware platforms and ISO images and Live DVDs are available in both architectures. Its latest version 2.1.2 has been released now and we are going to discuss the introduced features and its install method in this article. 1. It is very decent and stable Debian based Linux distribution with an amazing collection of pre-installed software programs. 2. It is very suitable of students and educational professionals because it helps to get most of the tasks done with very minimum effort and pretty less cost. 3. Can be easily installed and works perfectly on a low hardware system with a 512MB RAM. 4. The stock of the installed applications include gFTP file transfer client, ClamAV antivirus, Chromium web browser and GNOME Music player etc. 5. It comes along with built in security tools like Fail2Ban and PortSentry to protect the system from DOS and other network attacks. There are couple of ways, you can initiate the install of this OS. (a) Download the illume OS and burn it to DVD/USB drive and boot your system using this DVD/USB. 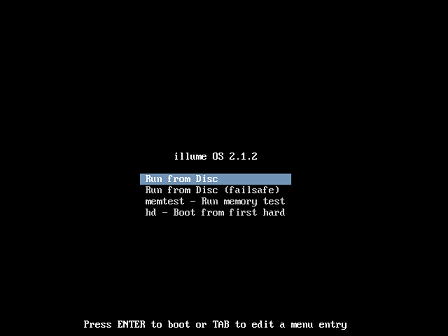 (b) Create Virtual machine on your current operating system using tools like Oracle Virtual Box and boot your Virtual machine using ISO of illume OS. 1. If you are booting from a DVD, a USB drive or on a Virtualbox, Run from Disc would be the pre-selected option, so just hit Enter to proceed. 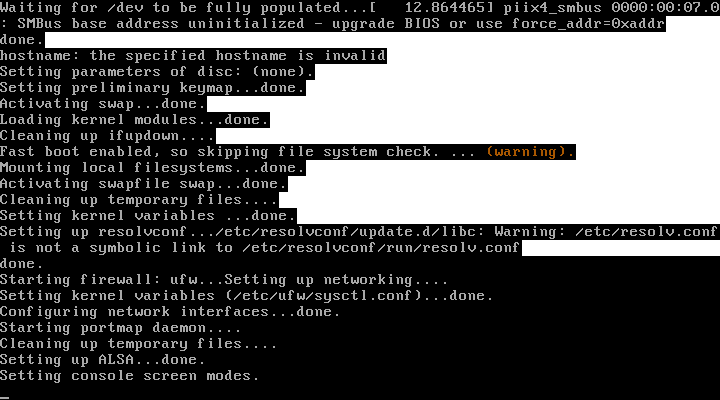 2. illume boot is in progress as you can see from the below screenshot. 3. After the system boots up nicely, we should be on the illume first screen with an Install icon, click it to start with the installation of this Linux OS. 4. 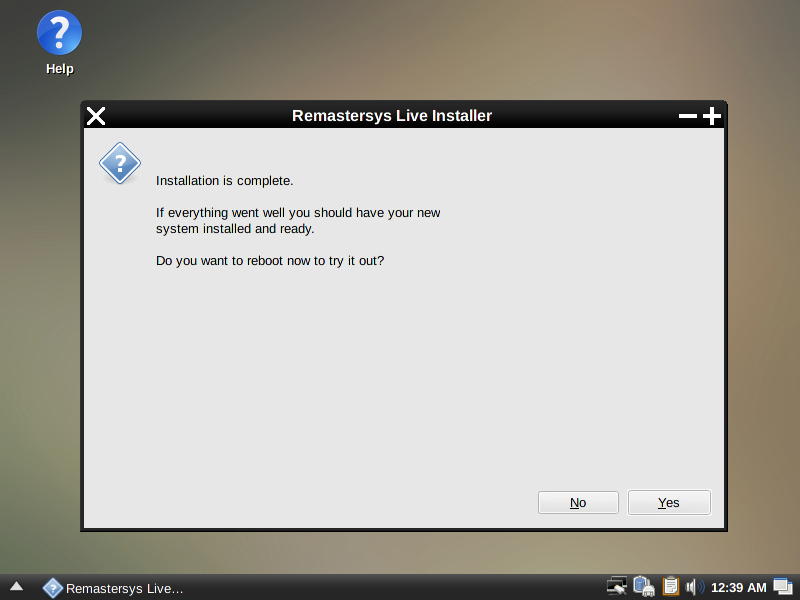 Welcome to the Remastersys Live Installer wizard, it will take us through the installation of the OS and we will be going to do some partitioning and other stuff in few steps. I have given 8 GB to the created VM for illume to install, test and play with it which is more than enough, select the sda disk option and click OK to proceed. 6. 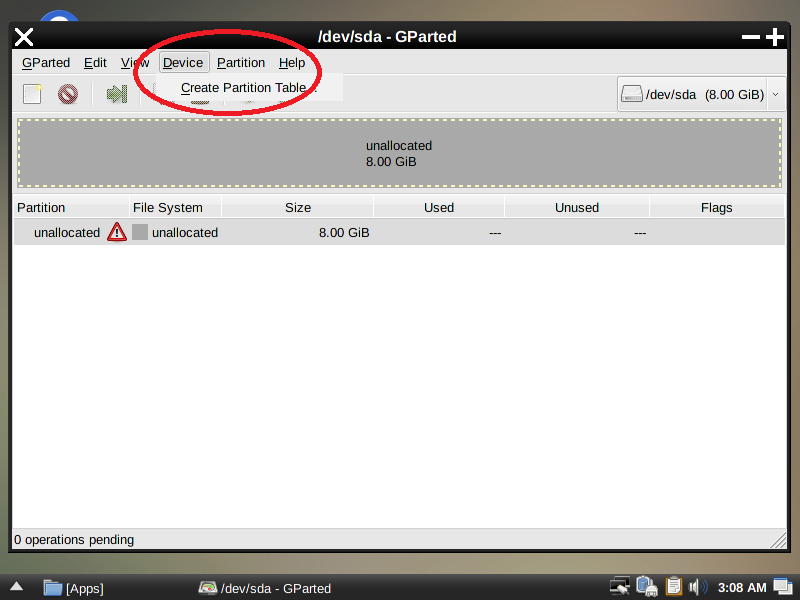 After that, right click on the un-allocated space and select new to create a new partition. 7. Click the Red-encircled green tick icon and we would be done with the partitioning process. Here I have just created a single / partition, you can add multiple partitions according to the available space doing the above practice again and again, hit Apply to proceed further. 8. Disk changes are getting applied now. 9. 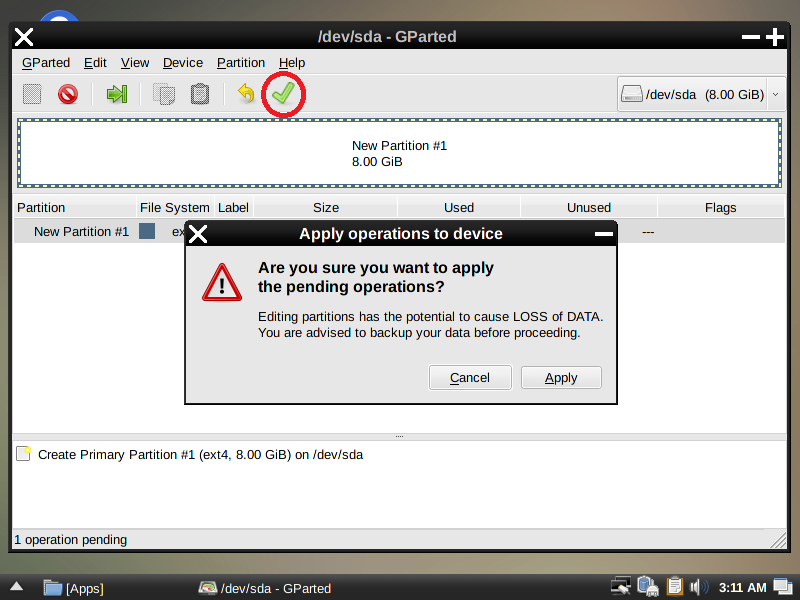 Please select a partition where you want to get /home installed, since we are having only partition root / here, so it will be installed in root. 10. 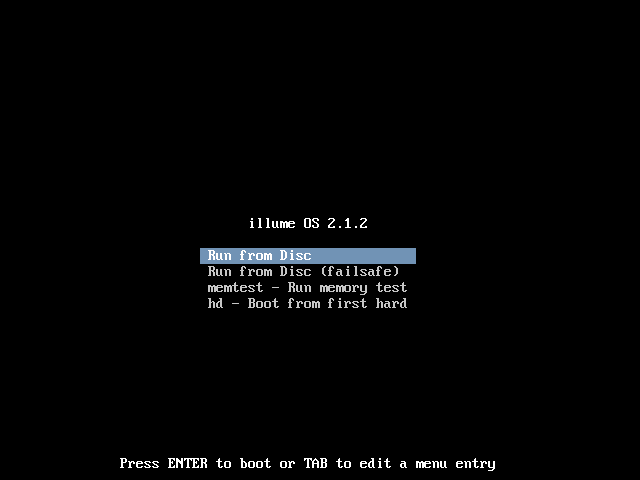 Select root for Grub installation as well and click OK.
11. Next steps are easy, just select your current location, timezone and hostname respectively. Click ok and the installer will start copying files to the disk. 12. Wait for a couple of minutes and our installation is complete. Reboot the system to start using the illume OS.